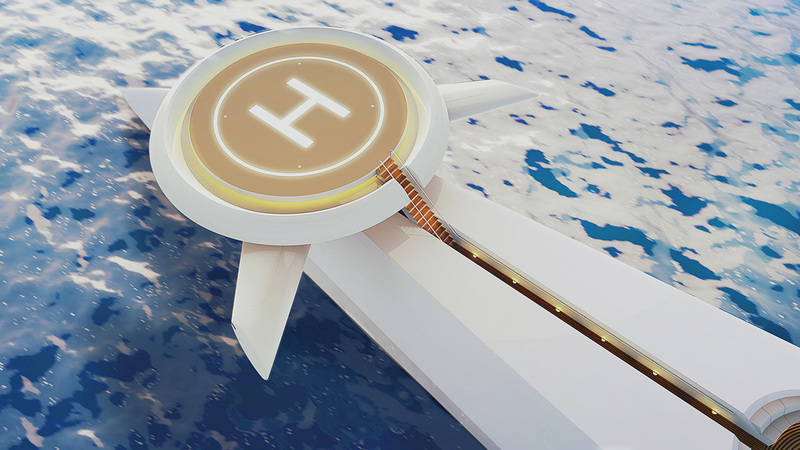 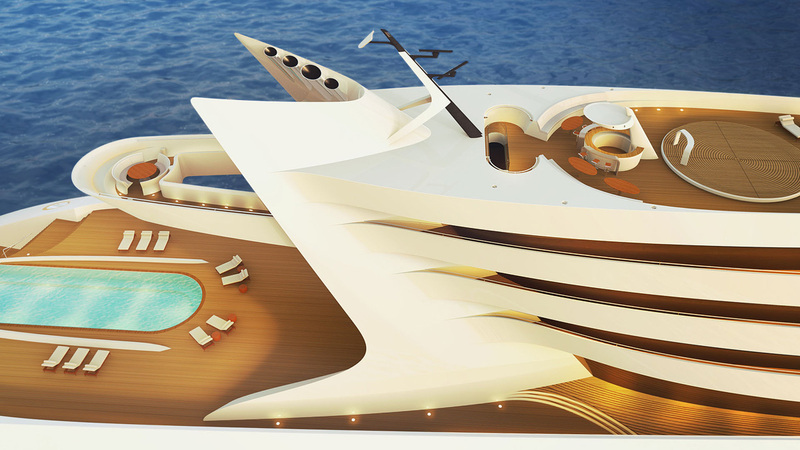 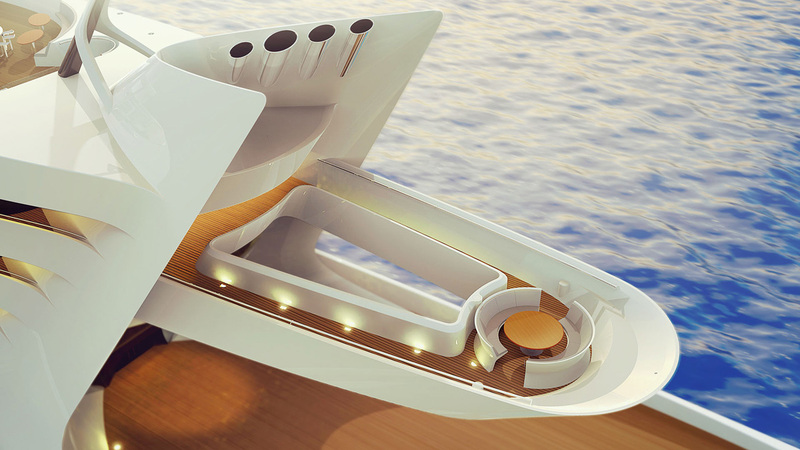 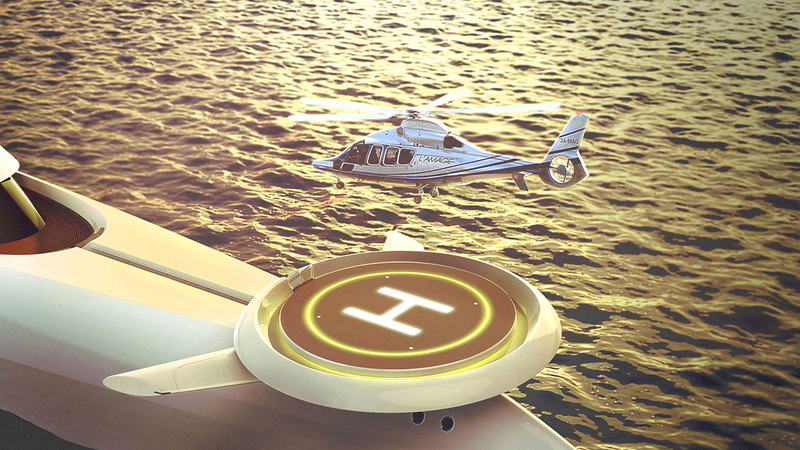 Sourcing a futuristic style that aspires to transcend imagination to become an advanced and modern reality, the “L’Amage” superyacht concept is the work of visionary designer H.Bekradi, founder of HBD Studios. 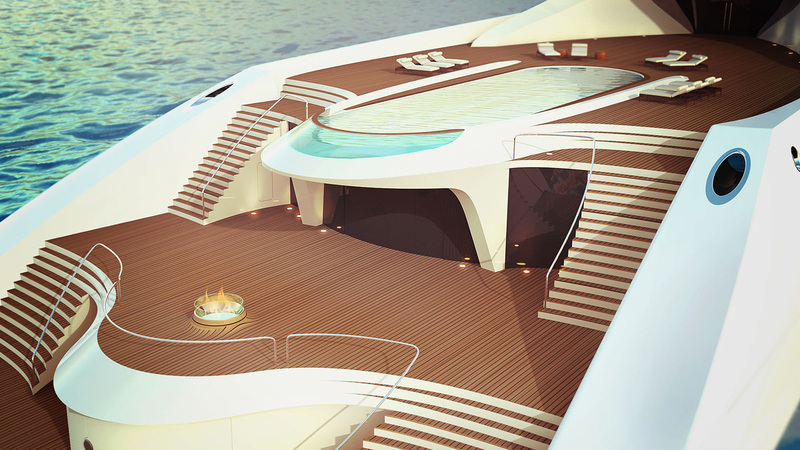 Its exterior displays minimalist profiles with clean lines, such as an inclined character edge running from its helipad to its beach club tender, and touches of personality with large details of complementing wooden decking. 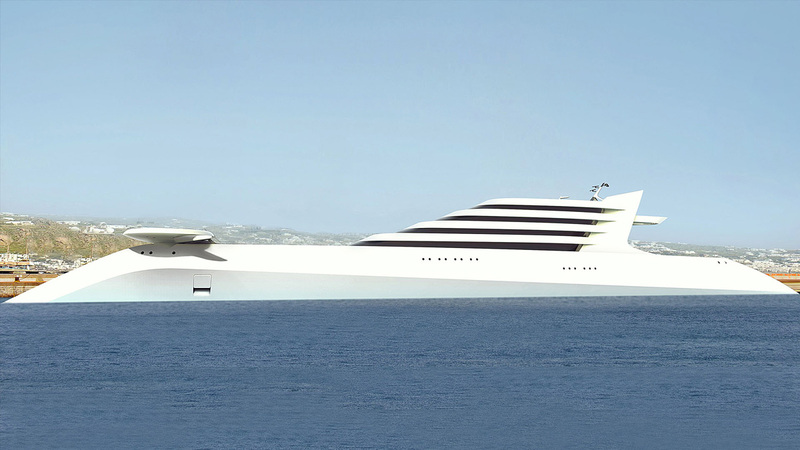 With a total measurement of 190 meters in length and 28.6 meters in width, the vessel’s hull design presents an inverted bow that creates a strong and sleek shape. 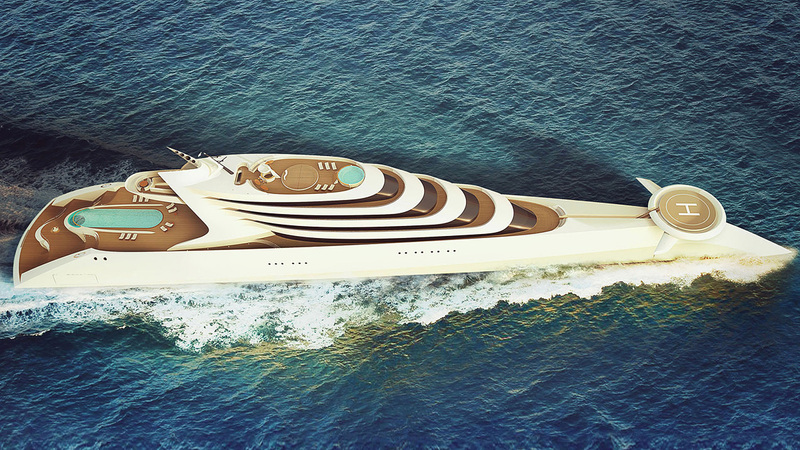 First previewed at the 2017 Monaco Yacht Show, the 190 meter HBD studios’ “L’Amage” superyacht has a passenger capacity of 28 guests, featuring 14 staterooms, a private apartment for the owner, and space for up to 70 crew members. 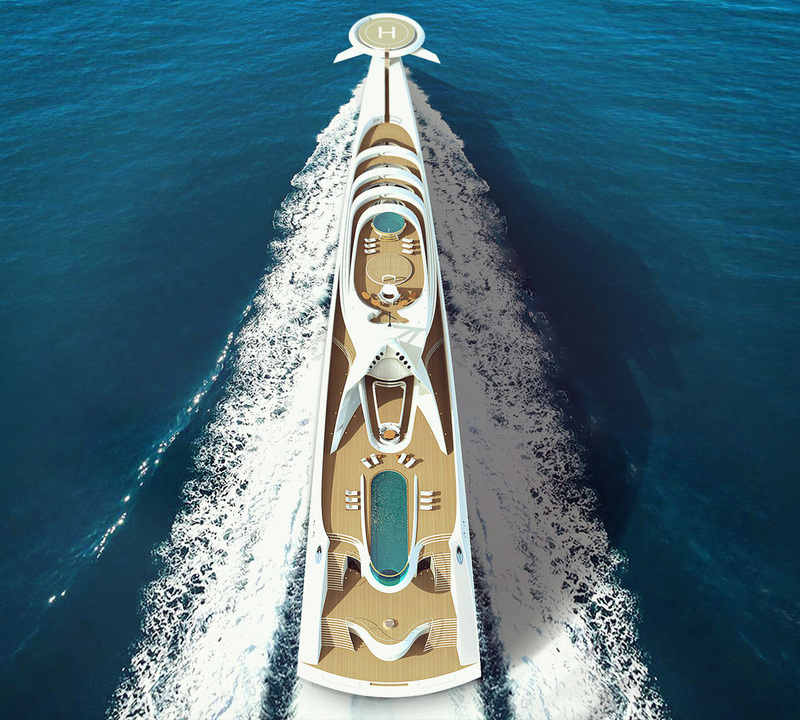 Furthermore, it is equipped with advanced technologies to push the concept to the forefront of naval design. 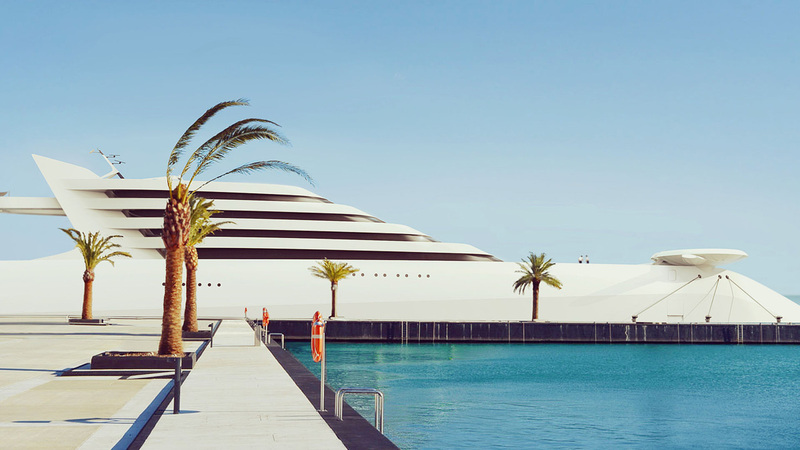 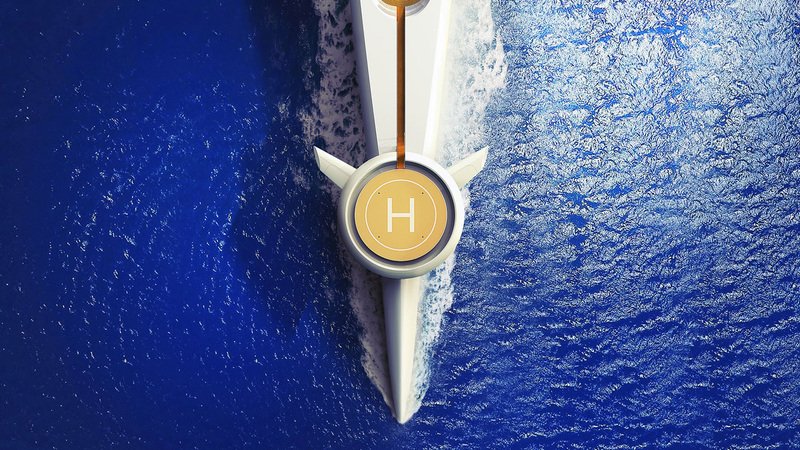 Claimed to be the “first superyacht project to incorporate the flat panel satellite technology by KYMETA”, the concept replaces the unsightly domes that normally sit on top of yachts. 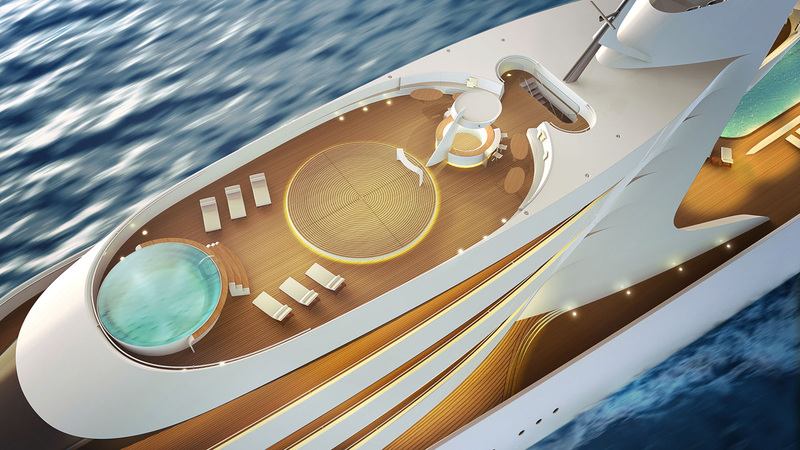 Instead, the flat satellite panels are hidden away behind exterior walls, resulting in a much lighter and purer aesthetic. 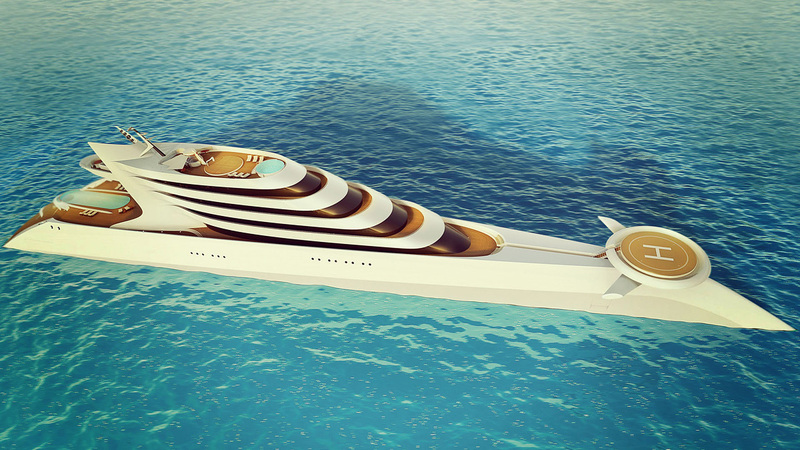 Enhancing CODAG – an advanced propulsion system which combines diesel engines and gas turbines – as well as controllable-pitch propellers, the “L’Amage” superyacht produces 95,000 hp that pushes it to a max speed of 32 knots. 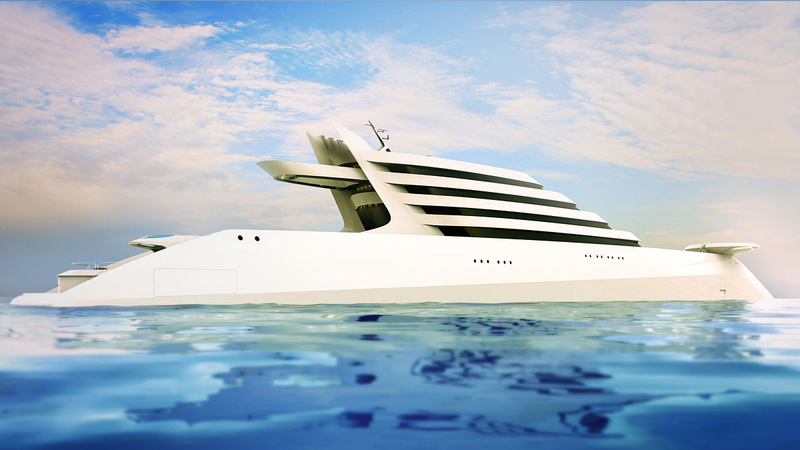 Additionally, the water vehicle has a fuel capacity of 1,500 tons and approximately 6,000 nautical miles of independence. 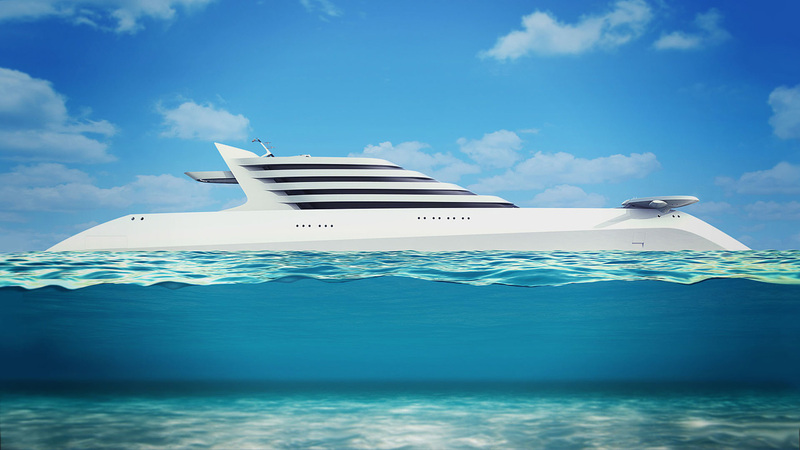 If you want to find out what is the most expensive yacht in the world – we recommend you to check the list of World’s Top 10 Most Expensive Luxury Yachts.